Eddie Clark is an experienced Louisiana personal injury attorney. Based in Monroe, he is the principal of The Law Firm of Eddie Clark & Associates. Mr. Clark is dedicated to serving those who have been hurt in catastrophic accidents through no fault of their own, as well as the families of those who have been severely injured or wrongfully killed. Mr. Clark handles the full spectrum of personal injury cases, such as those involving car accidents, truck accidents, and motorcycle accidents. He has a particular interest in fighting for compensation and reimbursement in the case of brain and spinal injuries, which have the power to impact every facet of an individual’s daily life. Through his tenacity, he secures positive outcomes for his clients, some of whom have been paralyzed or otherwise incapacitated as a result of the negligence or wrongdoing of others. Mr. Clark builds his clients’ cases with the help of medical and accident experts with the expectation that they will proceed to trial. He is a skilled negotiator at arbitration, mediation and in pre-lawsuit proceedings. Although many personal injury and wrongful death lawsuits can be settled before trial, it is important to have an attorney on your side who can successfully try a case, and who has a good reputation for success in the courtroom. Although Mr. Clark works towards informal resolution to spare his clients from the stress of going to trial, he is willing to litigate for his clients all the way to trial if a case cannot be settled. Mr. Clark’s experience and solid reputation have earned him the respect of the legal community, including opposing parties, who take seriously his ability to effectively advocate for his clients’ interests. 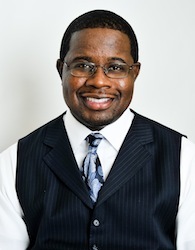 Mr. Clark graduated from the Southern University Law Center with Honors in 2004. Before going to law school, he received a B.S. in Zoology in 1999 and a Master’s degree in Public Administration in 2001 from Southern University in Baton Rouge, Louisiana. His background in public administration makes him particularly conscious of how municipalities operate. This additional knowledge can be useful for purposes of filing suit, negotiating, and securing compensation for an injury on public property. Mr. Clark is admitted to practice in all state courts in the State of Louisiana as well as the Western District of the United States District Courts of Louisiana. An ardent and accomplished advocate, Mr. Clark is well known as a leader among his peers. He has deep roots in Monroe, Louisiana where his office is located. He was born and raised there, and graduated with honors from Carroll High School. In addition to his passion for practicing law on behalf of severely injured plaintiffs, Mr. Clark believes in civic responsibility and community engagement. He serves as a Monroe City Councilman where he represents District 5. His work as councilman is part and parcel of his goal to serve the people in his community. Mr. Clark believes in furthering the good work that teachers do for the young, and actively supports several high schools, elementary schools, and community organizations in Ouachita Parish. His professional associations include the American Association for Justice, Louisiana Association for Justice, Louisiana State Bar Association, and Louis A. Martinet Legal Society. He is married to Katina Beverly-Clark and they have two children. If you or a loved one have suffered harm due to the negligence or wrongful conduct of another, contact The Law Firm of Eddie Clark & Associates today at (318) 361-9697 or via our online form for a free consultation.